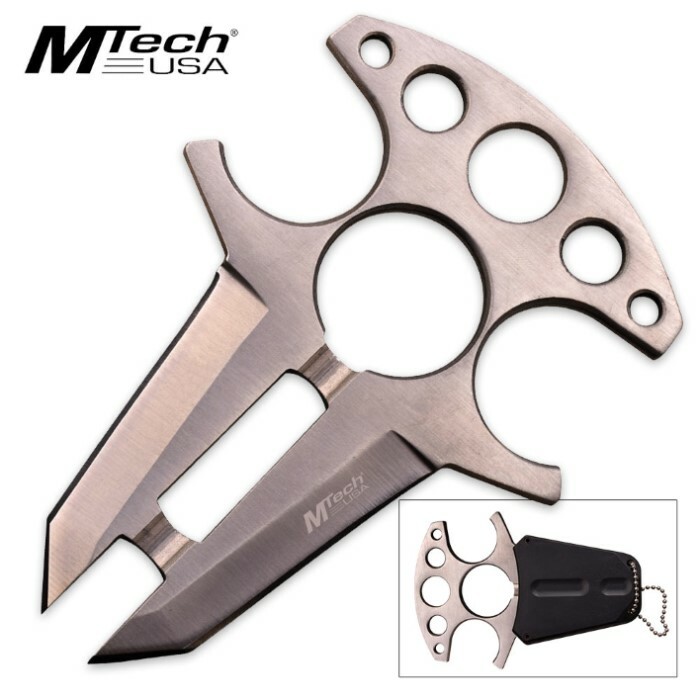 MTech Fang Neck Knife with Molded Sheath and Chain - Silver | BUDK.com - Knives & Swords At The Lowest Prices! Part convenient neck knife, part sinister double-bladed push dagger, the MTech "Fang" Neck Knife is unlike any knife you've ever seen - the ultimate in concealable blade-powered self defense. As the name suggests, it boasts two 2 1/2" stainless steel tanto blades, each a mirror image of the other, yielding the potency of a double-edged dagger in a unique parallel twin-blade configuration. 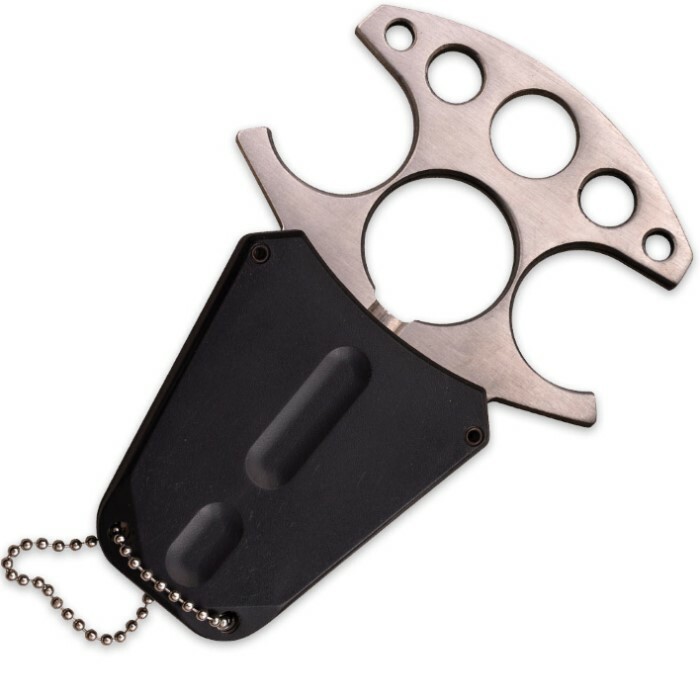 The stainless steel handle is tough and easy to grip, affording maximum control and thrust with its large finger ring and the two generous finger choils by which it's flanked. Shrouded in a gleaming silver finish throughout, the Fang looks every bit as ominous as its bite. The included molded nylon fiber sheath secures the Fang with ideal pressure - ample to overcome gravity and shock, while still allowing for fast, effortless access when suspended from the neck by the attached metal ball chain. Solidly built, cleverly designed and undeniably capable, the one-of-a kind MTech Fang brings its own distinct brand of double-edged savagery to the world of neck knives. Got this in the mail yesterday, good steel, USA designed, China made, but it's suprisingly good quality. Swung the chain around on my hand and the knife stayed secure in the sheath. I'm impressed. You're just not gonna find this kind of deal elsewhere, throw down ten bucks and you have a reliable concealed weapon. Finger holes fit good, probably a little big for most though. Five Stars.